We believe that every child has the right to a quality early childhood education, including those with disabilities and additional needs and we work hard to ensure that each child is supported to participate and be included in the program. Diversity and inclusion are central to Mudgee Community Preschool’s values. We prioritise access for children with disabilities, and we have the resources, experience, networks and will to provide the best start for all of our children. We provide Inclusion Support educators in every class, and have invested heavily in an innovative Therapy Program. Research tell us that the first five years of a child’s life are developmentally the most crucial so if you are aware of any additional needs your child may have, or have concerns or queries about your child’s development please speak to your child’s teacher. Should your child present with any difficulties or problem areas, you will be made aware of them by the class teacher and appropriate support will be provided, for example, through our Therapy Program. In some cases further referrals for assessments will be made to other professionals such as Speech Pathologists , Occupational Therapists, Psychologists or Physiotherapists. Staff work closely with families and other professionals to develop Individual Education Plans for children with disabilities and additional needs. 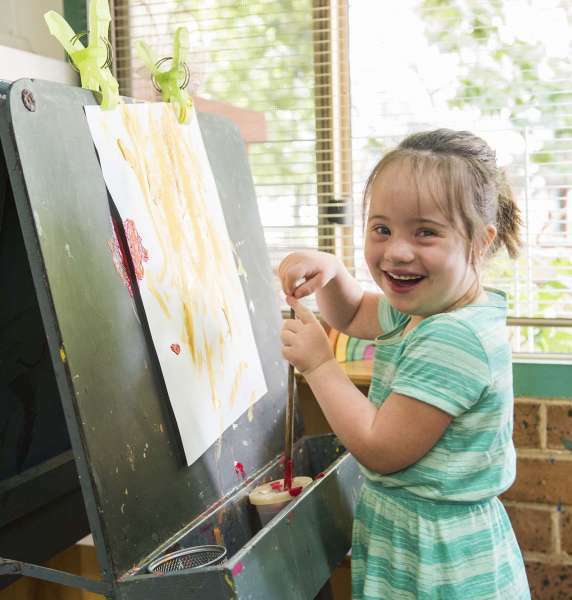 At Mudgee Preschool we recognise that there are some children who are enrolled at Preschool, whether or not they have a diagnosed disability, who face barriers to inclusion and participation in the Preschool program – they do not always have the skills to keep up with their friends. To help these children we have Rachel Disher, Occupational Therapist, as part of our team. Rachel visits each classroom on a regular basis and trains the staff in strategies and techniques to use in the everyday program. This supports all children to play and learn with their friends. The PIP does not include 1:1 therapy or assessments for individual children although different screeners may be used to help us identify focus areas which may need additional support. Appropriate referrals are made for children who may benefit from more intensive therapy . All families have regular meetings/communication with teachers to discuss their child’s development and progress and to contribute to their child’s learning program. Families will also have opportunities to meet with Rachel. Other allied health therapists are also consulted and referred to when necessary. Australian research indicates that between 4 per cent and 14 per cent of children aged from 18 months to 3 years have mental health problems such as anxiety, social withdrawal and high levels of aggression. These figures are similar to those reported for preschoolers and infants in international studies. There is a solid body of evidence indicating that helping children build resilience leads to better mental health. In addition, if children with mental health difficulties are identified early and their condition managed, they will be less likely to have poor mental health outcomes as adults. KidsMatter Early Childhood is a national mental health promotion, prevention and early intervention initiative specifically developed for early childhood education and care (ECEC) services. It has been developed through collaboration with the Australian Government Department of Health and Ageing, beyondblue, the Australian Psychological Society and Early Childhood Australia. Mudgee Community Preschool staff are involved in the KidsMatter professional development program and use their resources to help children and families. Our staff are trained to identify children who may be experiencing difficulty with language, speech and communication. In consultation with families, teachers may refer these children to a speech pathologist. 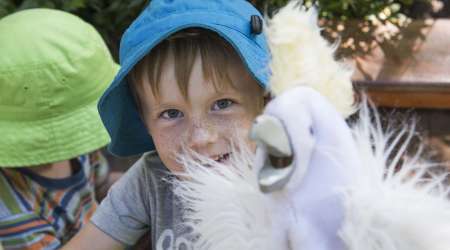 Mudgee Preschool works closely with Speech Pathologists from Mudgee Community Health who conduct regular group sessions at Preschool on a Thursday for children who have been referred to them. We also work closely with private Speech Pathologists. Our staff are trained to implement strategies in their daily program and routines that support children’s language, speech and communication.